One man's trash is another man's project. I dumpster dive. No, I really do. I do it quite frequently, and often find plenty of cool things. Locks. Electronics. Jackets. Tools. Jimmy Hoffa. Computers. All sorts of useful things. This morning, it was a TV set, complete with the remote control. Throwaway TVs are so common that it's almost annoying. Usually, it's something minor that's failed. This day and age, people are always looking for a good reason to make the jump to some new 80-inch high-def whiz-bang wall ornament. If the most minor thing goes wrong with their current 5-year-old set, it's game over, and time to upgrade. 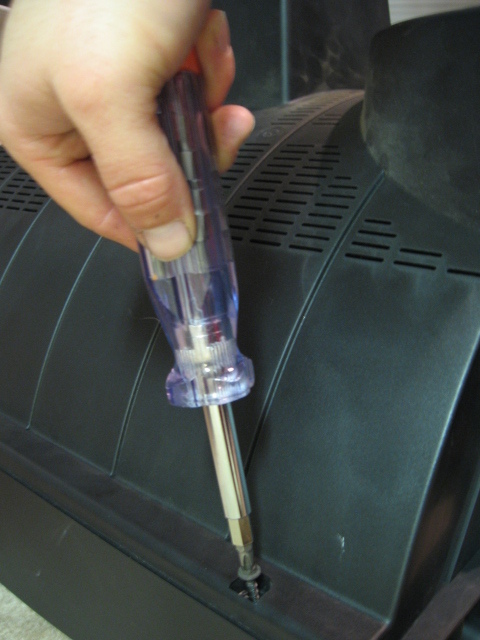 Devices with CRT screens can contain a dangerous amount of stored electricity. 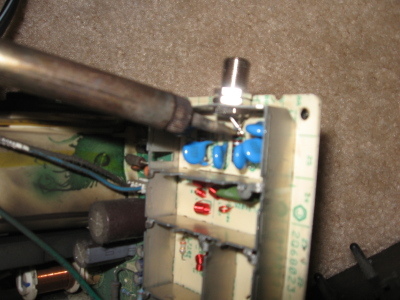 Keep your hands away from large transformers, thick red or black cables, and the soldered side of the PC board inside the CRT device. We don't want people getting hurt, so please do some research if you're unfamiliar with CRT devices. It was about 40 degrees this morning, so when I brought the TV set inside, it immediately began forming condensation. I left it alone until I could plug it in and check it out this evening. The last thing I need to do is destroy a good TV by plugging it in while it's soaking up moisture from the air in my apartment. Great. So that's why this thing is in the dumpster! 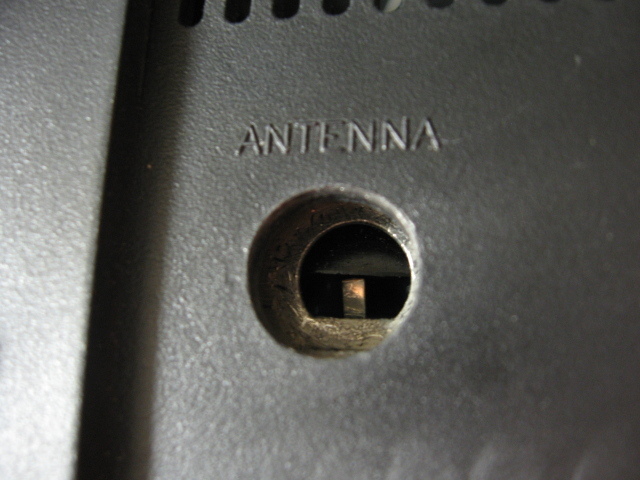 I went ahead and grabbed the coax cable anyways, and touched the center pin of the coax to the metal tab inside the hole, and to my surprise, I got a signal and a pretty good picture. 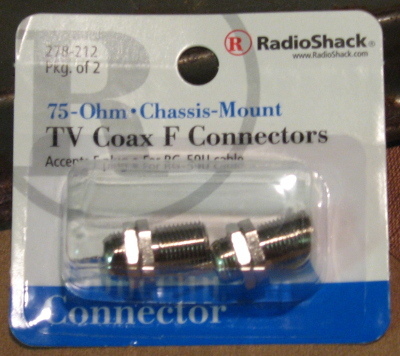 A quick trip to RadioShack should fix this pretty easily. I plug in the Soldering iron so it's ready to go. 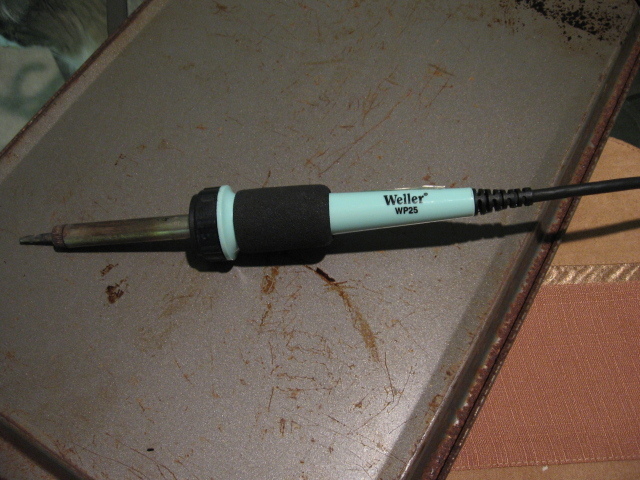 Did you know I also found this soldering iron in a dumpster? That was about 5 years ago, but it's still going strong! 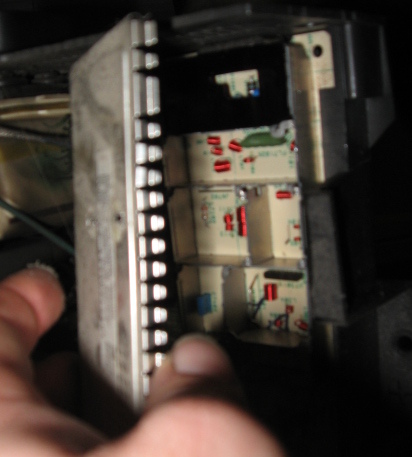 Once the case is open, I see that the F-Connector's location is obscured within the tuner module, so then it's a fun game of "disassemble the tuner"
The back side of these F-connectors are too deep. 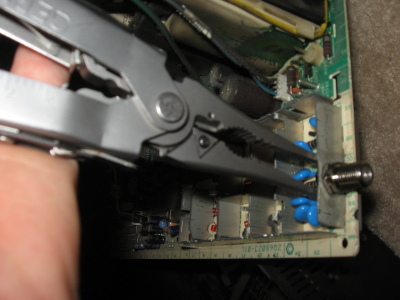 To offset this problem, I put one more nut on the F-connector, then put the connector onto the tuner, hand-tightened. 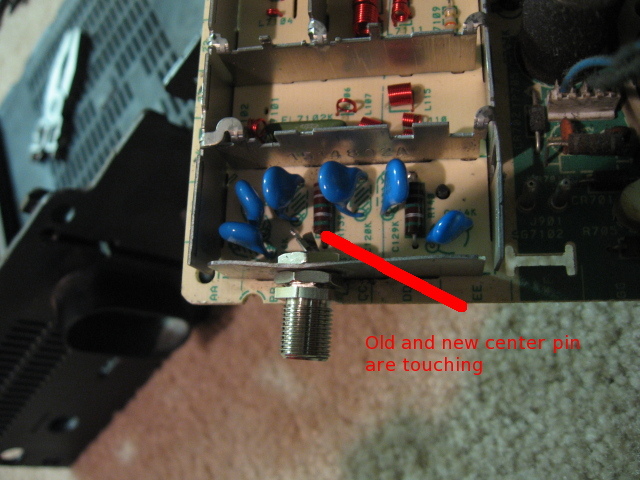 I leaned the old broken center pin against the new center pin tab. I threw the trusty needlenose attachments onto my Gerber Evolution, and went to work actually tightening the F-connector to the tuner housing. 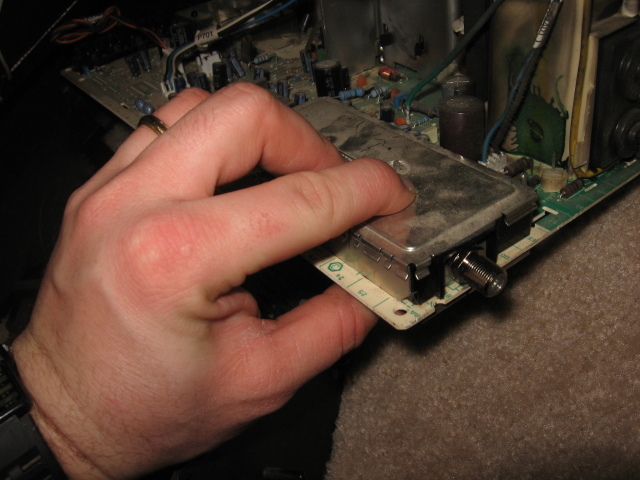 Final re-assembly begins with putting the tuner back together again. See the nice, new, shiny F-connector?